I got a few other replies on other boards. But, I figured it can't hurt to tr here too. I'm just going to copy what I wrote there. Ok, designer type people out there...we recently moved into our new construction home. I have no idea on where to hang pictures. I'm so not the designer type. I don't want it to look tacky or cluttered. We just had out 3rd year Anniversary and never got enlargements from the wedding. Also, we just had family pictures done. I don't know what size to get made. 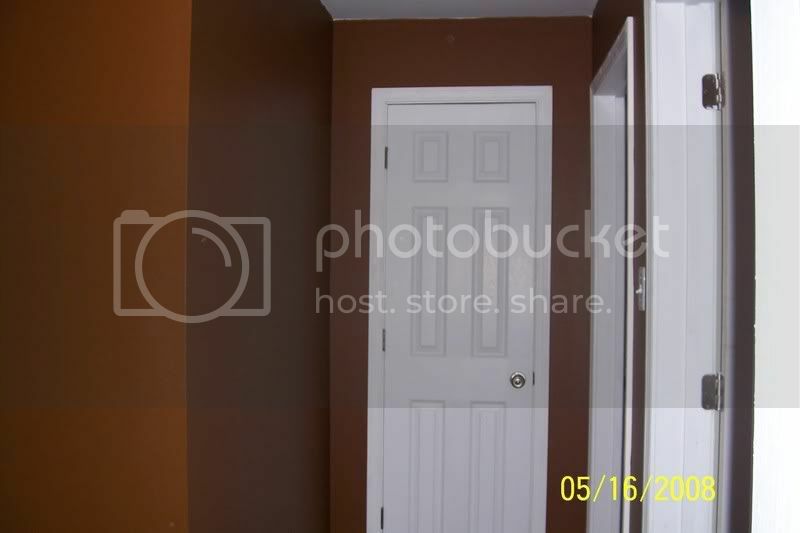 We literally have nothing on the walls yet. So, it's an blank canvas. Or should I put them on shelves instead. 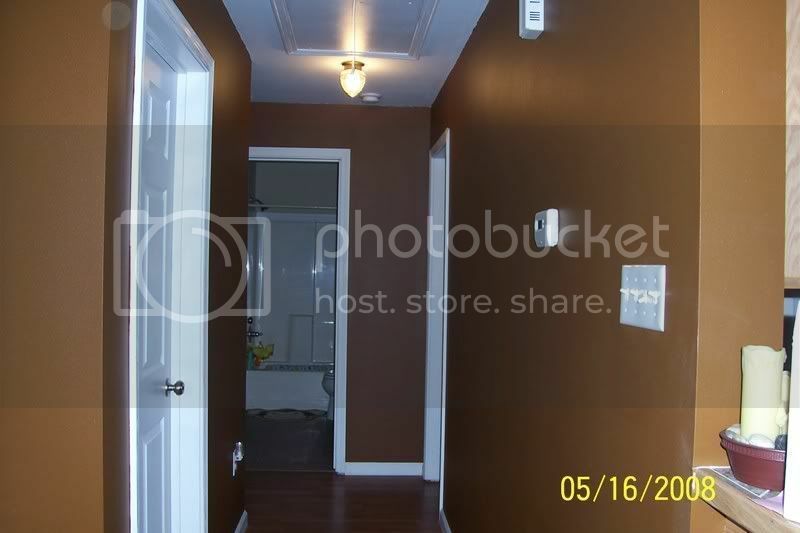 I don't know if we should put anything in the hallway either. Or just the living room. 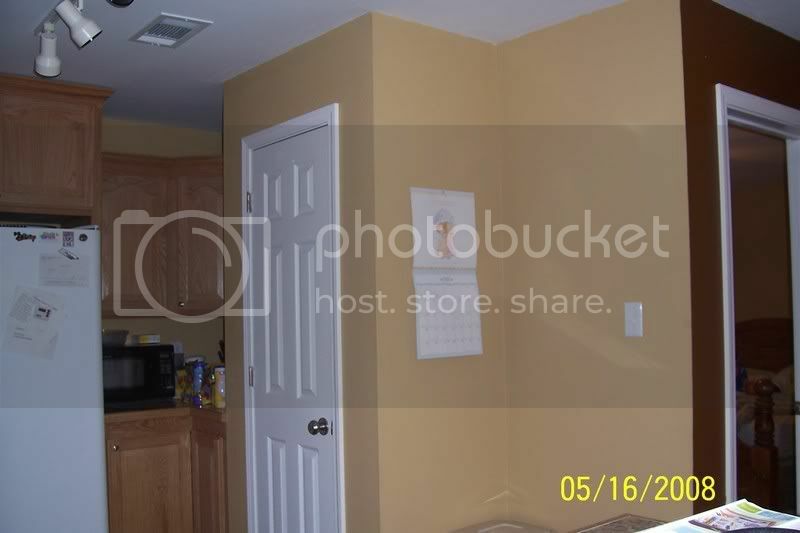 I think we should have some kind of painting in some rooms too. I may want to put some in the bedrooms too. But, I'll worry about that later. 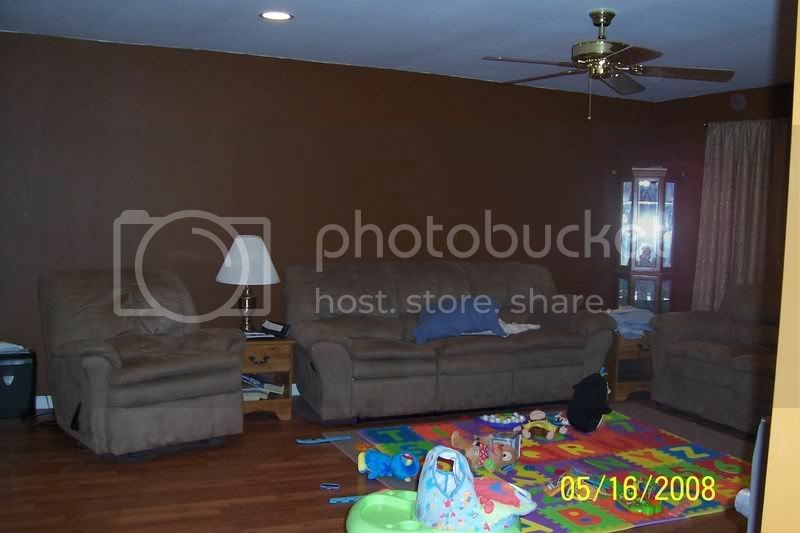 I'm thinking a painting behind the sofa since no one is normally facing that way. 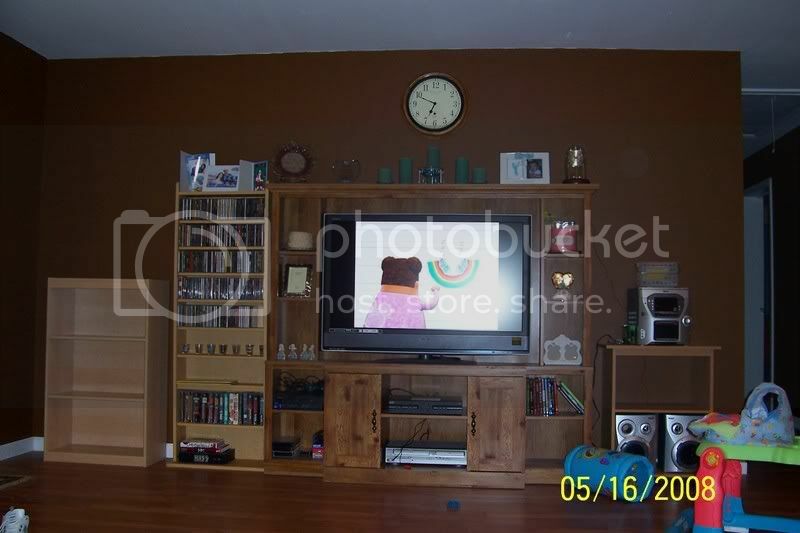 Possibly two large pictures on either side of the clock above the TV. Maybe one large one above the computer. Then some smaller ones in the hallway. I want to get big ones of our engagement photo, a wegging photo, family photo, Colby photo, Colby and Mommy photo, and Colby and Daddy photo. Also, I think some 5x7's of my Mom, sister, Godchildren and possible others. I really am not sure about the sizes or where to arrange them. 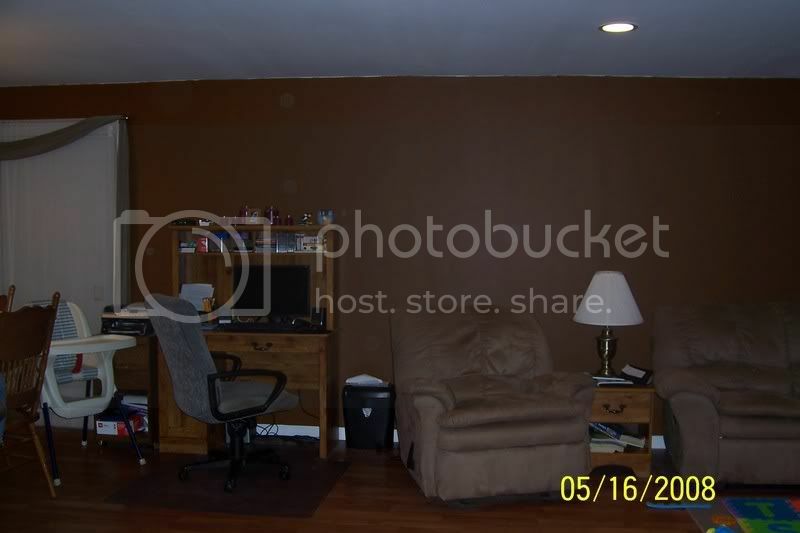 I definatly don't want it to look cluttered. Should I put them direcly on the walls or on shelves? I have a few shelves so I thought I'd ask.